Dipika Pallikal and Joshna Chinappa came second and won silver medal in their women's doubles final at Gold Coast on Sunday. They were outclassed by Joelle King and Amanda-Landers Murphy of New Zealand in the finals. The Indian duo had added India's 64th medal in the overall tally at Gold Coast with the silver medal finish on the final day of CWG 2018 at Gold Coast. Dipika had earlier won silver in the mixed doubles with Saurav Ghosal. Indian squash contingent ended their Commonwealth Games campaign with silver lining on Sunday as Dipika Pallikal and Joshna Chinappa salvaged a silver medal in their women’s doubles final defeat at Gold Coast. The Indian duo, who clinched gold a triumphant gold for India four years ago in Glasgow were outclassed by Joelle King and Amanda-Landers Murphy of New Zealand in the finals. The New Zealand duo beat Pallikal-Chinappa 9-11 in the first game and 8-11 in the second. With the win the Indian duo had added India’s 64th medal in the overall tally at Gold Coast. Dipika Pallikal and Joshna Chinappa entered the women’s doubles final after defeating Laura Massaro and Sarah-Jane Perry of England. The duo eased past the England pairing of Massaro and Perry 2-0 to enter the Gold Coast final. The second finish on the podium gave Joshna her first and Dipika her second medal at Gold Coast. Their conquerors (King and Murphy) in the finals remained undefeated in the doubles class at Gold Coast. The New Zealanders dominated the match proceedings from start to finish. The Kiwi duo wrapped the opening game in no time and then continued to dominate the second as the Indian pair struggled to get back and eventually witnessed a close finish in both games. Dipika had earlier won silver in the mixed doubles with Saurav Ghosal. 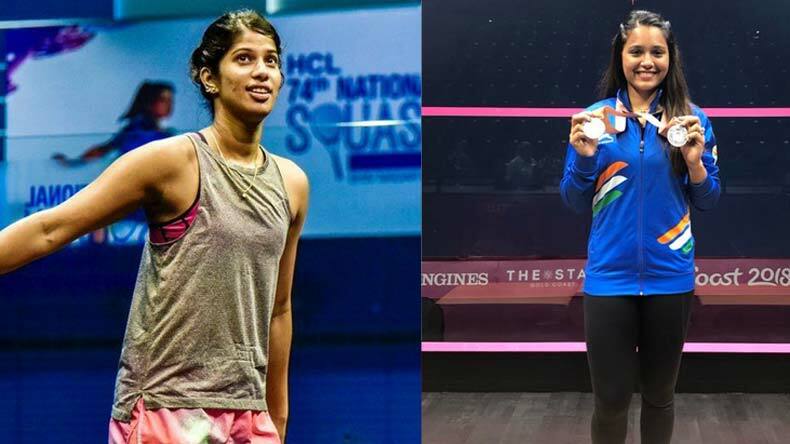 “Congratulations to the team of Joshna Chinappa and Dipika Pallikal for the Silver in Women’s Doubles Squash at #GC2018,” President of India—Ram Nath Kovind tweeted.